The fig. An intriguing fruit, one with a brief but abundant seasonality, and one hailed as much for its partnerships as an item to eat solo. Also, a fruit reputably worth little, if the phrase 'to not give a fig about something' is taken literally. It's an ancient fruit too: the asp is brought to Cleopatra in a basket of figs. Interestingly, the word sycophant derives from the Greek for 'showing the figs'. But enough of the trivia, let's get down to the eating! Figs featured in two dishes I enjoyed last week, the first as part of an Express Lunch at Trunk. Here it was served for entree in the peerless pairing with proscuitto di parma, with some witlof, aged balsamic and a smear of goat's cheese. 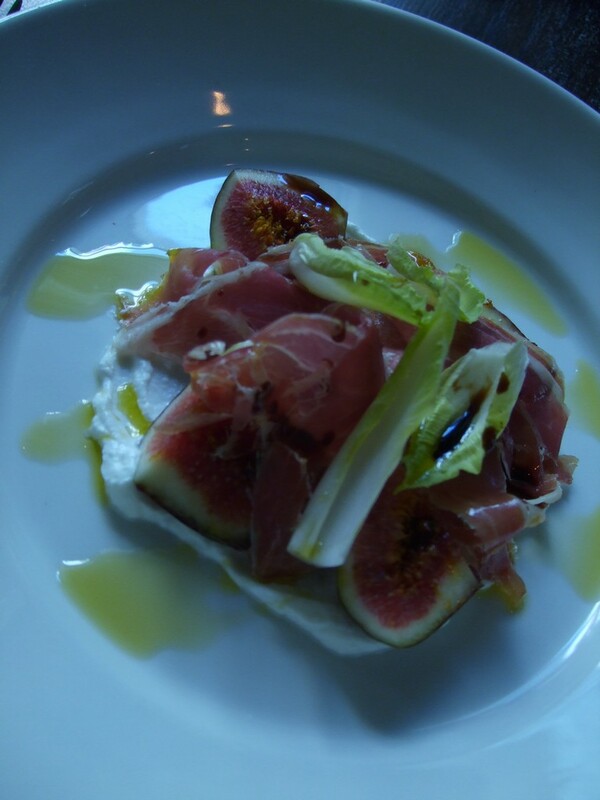 The flavour match of proscuitto and figs is just exquisite, particularly when the restaurant takes the care to source quality ham. For me the strange thing about figs is that I would never sit down to one on its own. I don't mind the flavour so much but the texture isn't one I enjoy. Yet, when properly partnered, it's a joy. I much prefer the combination of proscuitto and fig to prosciutto and melon; the latter has always seemed a step too far in terms of texture and taste contrast. Figs also featured in a Friday night dinner at Pizzeria Amici. With the return of the fig season, their most famous pizza gets its annual reprise: figs with gorgonzola, speck and rocket. It is a superb combination. Amici get the cheese spot on, so it covers the base but doesn't overwhelm with its own richness. The figs and speck are a natural pairing and the rocket brings the bite and roughness to even it all out. 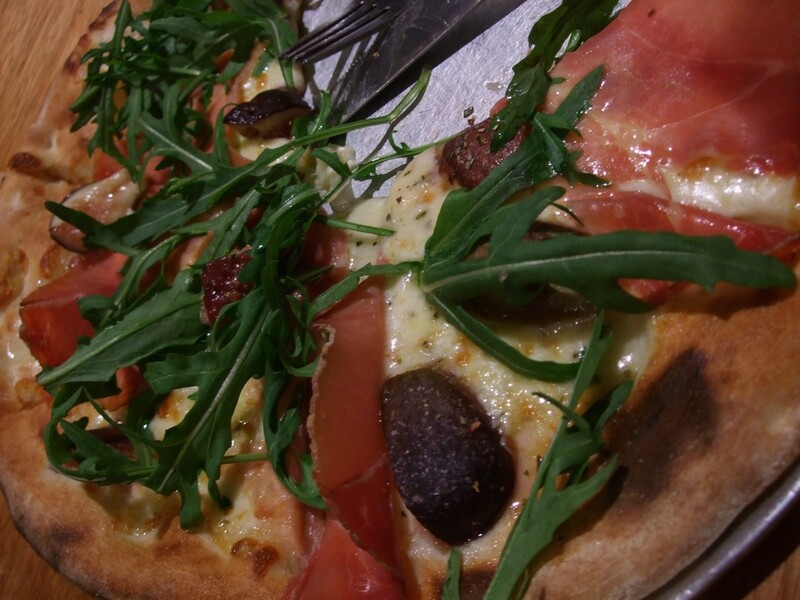 If you're craving magnificent, authentic pizza, served up with conviviality, get to Amici. Best to phone for a booking too: the locals can't believe their luck and the place is pumping every night.